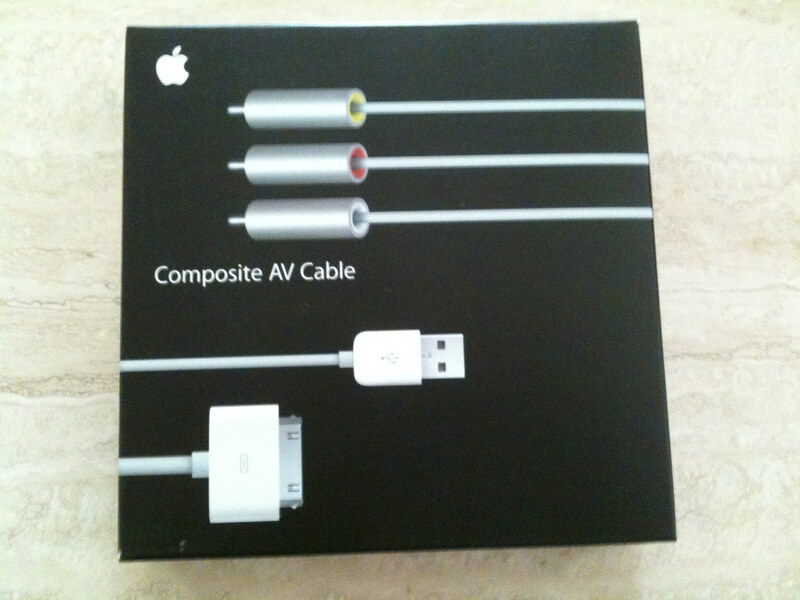 I have a 3Gs & Appel Composite AV cable model MB129LL/B and my Iphone says my cable is not compatible product??? What is you cable model? Ok. My cable was defect. At the Apple Store they replaced the cable and the new one works fine now. i know this isn't apple..sorry..
any thoughts about the zuneHD? 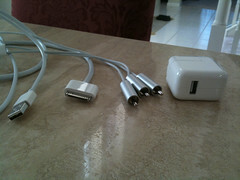 I'm curious if this cable enables whatever is shown on the iPhone screen to be seen on the TV or just video output? I'm thinking about buying one of those pocket projectors for business presentations and am not sure if only video and pictures show, or all that is on the screen no matter the iPhone function at the time. Thats just typical of a company that size, they know full well what sells in large volumes and work shipping around that - obviously they would never use their discretion and not charge you for the shipping, cos that would be too much like customer service!! Glad you are sorted out with the right cable now though!! Is there a cable model for iPhone 2G? I only have this unit. I could not find it here in our local shops. 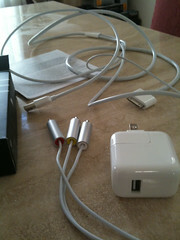 I own an AV Cable plugged from my iphone (headphone jack) and the three other parts of the cable into the TV. Does anyone think this cable will work on an iPod Nano?